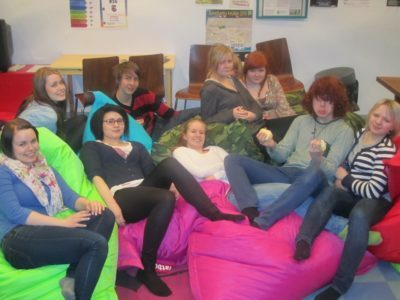 The 1st Alumni Weekend of EYP Finland was organised in Helsinki 8th-10th April. It gathered together some 20 participants from all over Finland. The relatively small amount of participants only made the mood better and the weekend was even afterwards described as ”probably one of the best weekends I’ve ever had” by one of the participants. The weekend started off on Friday with parliamentary election themed activities in Helsinki. The participants were asked to meet candidates and collect flyers. On Saturday the activities included workshops on different EYP roles and on Sunday the attention was turned to EYP in general. The participants learned about the structure of the EYP and got to know more about applying to foreign sessions. If you missed this chance to attend a training weekend, later this year EYP Finland will organise a journalist training and a chairs’ training. They will concentrate more spesifically on those roles within the EYP.